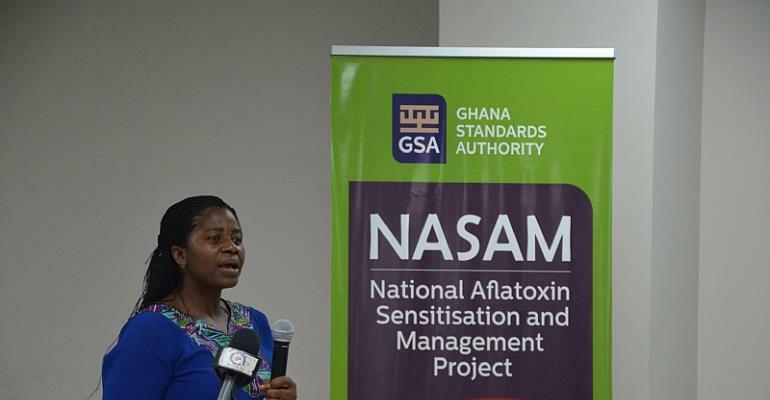 The National Aflatoxin Sensitisation and Management (NASAM) Project, a special-purpose entity within the Ghana Standards Authority (GSA), has organised its maiden public engagement, a media training workshop in Accra. This forms part of activities covered under a two-year project support grant awarded the Authority by The Alliance for Green Revolution in Africa (“AGRA”) for the NASAM Project. The project aims to catalyze and sustain an inclusive agricultural transformation by improving food safety and security through increased knowledge about aflatoxins, its impacts and management in Ghana. The media training workshop, which was held on Thursday, March 28, was attended by up to 40 participants, made up of journalists, resource persons, GSA staff and representatives of the project partners. Her Excellency Maria de los Angeles, the Mexican Ambassador in Ghana and Marcos Moreno, Deputy Head of Missions at the Embassy participated in the programme. In a welcome address, George Anti, GSA Business Development Manager said: “We recognise your immense influence and control on issues relating to dissemination and sensitisation, hence, you will be the best to help in disseminating information on aflatoxins and its management. “As much as we have gathered here to obtain knowledge, this training promises to be interactive, inspiring and informative. “We entreat you all to contribute your quota to the success of this project as partners”. TOPIC: “Management of Aflatoxins” - Dr. Daniel Agbetiameh, Technical Consultant for Aflasafe Technology Transfer and Commercialization Project in Ghana and Research Fellow at International Institute of Tropical Agriculture (IITA). TOPIC: “Risk Communication” - Dr. Rose Omari, Senior Research Scientist at the Science and Technology Policy Institute, Council for Scientific and Industrial Research (CSIR- STEPRI). Aflatoxins are natural poisons produced by moulds from the genus Aspergillus. Their control is critical in sub-Saharan Africa as in other parts of the world because of the health and economic dangers that aflatoxins cause. Aflatoxin management requires a pipeline approach (from production to consumption) that addresses the pre-disposing factors to aflatoxin contamination. These strategies will involve strategies at the pre-harvest, peri-harvest and post-harvest stages to prevent contamination. Post-contamination practices are also relevant in situations where avoidance of contamination is not possible. Strategies that inform producers, handlers, consumers of what aflatoxins are, how they can be prevented from contaminating produce or managed are important for aflatoxin management. Additionally, the engagement public and private sectors, regional bodies and community associations are critical for effective aflatoxin management as they have the capacity to influence behavior changes and modulate practices that predispose food and feed to aflatoxin contamination. Furthermore, the role of research and academic institutions to provide factual information and effectively communicate technical information for aflatoxin management is crucial to avoid misinformation and application of improper practices. National Steering Committee on Aflatoxin Control (NSCAC), Food and Drugs Authority (FDA), Ministry of Food & Agriculture, University of Development Studies, International Institute of Tropical Agriculture, Farm Radio International, Nestle and the Ghana Journalists’ Association (GJA). 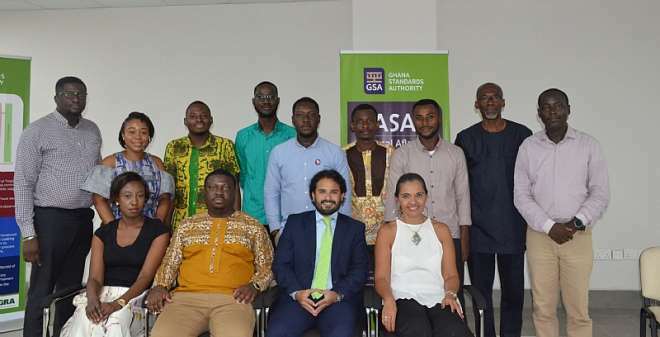 The NASAM Project will officially be launched on April 8 at the University of Development Studies (UDS), Navrongo Campus, followed by workshops in Wa on April 10. The final workshop will be held on April 11, at the UDS Nyankpala Campus.